Poison Ivy: Humans fear it. Birds eat it. Poison ivy thrives in the sultry heat of summer. This cantankerous producer of human misery is very much at home on the Wilder Side of Oakland County; including along the trail sides of Oakland County Parks, Huron-Clinton Metroparks, Paint Creek Trail and the Clinton River Trail and the meandering Shiawassee River Heritage Trail. This poison ivy vine along the Shiawassee River towers more than 15 feet above the head of six foot tall Jim Lloyds, a board member of the Six Rivers Land Conservancy (www.sixriversrlc.org ) and leader of their Adventure League. Blame the birds we love for the rapid spread of poison ivy. Many species of songbirds including robins and chickadees consume the small whitish-yellow berries of poison ivy, and when the seed passes and lands on fertile or disturbed soil, a new plant sprouts. Forget the warning you may have heard, “Leaflets of three, let it be.” Other plants hold that description, and poison ivy takes on various forms and shades of color and is often misidentified. 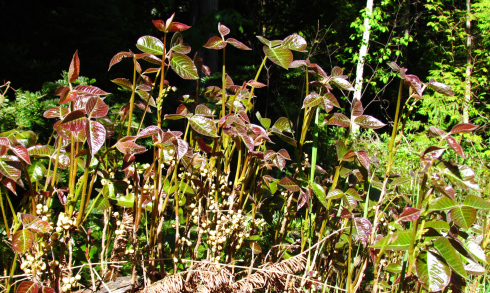 The leaves of the Virginia creeper vine and the box elder tree are just two common Oakland County plants that bear superficial resemblance to the itch master that produces a rash and is often followed by crusty and oozing blisters. 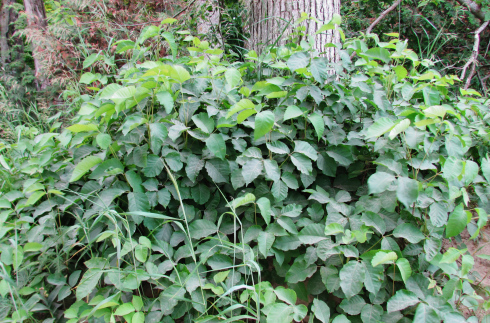 Poison ivy sometimes appears in a non recognizable bush-like form. The clinic also presents situational awareness information of the three means of contact. Indirect contact from touching pets, gardening tools, sports equipment, or other objects that had direct contact with the plant. Airborne contact from burning poison ivy, which releases particles of urushiol into the air that can penetrate the skin, eyes, nose, throat, or respiratory system. Poison ivy may have a shiny look and appear on upright stalks. The berries birds love are visible too. 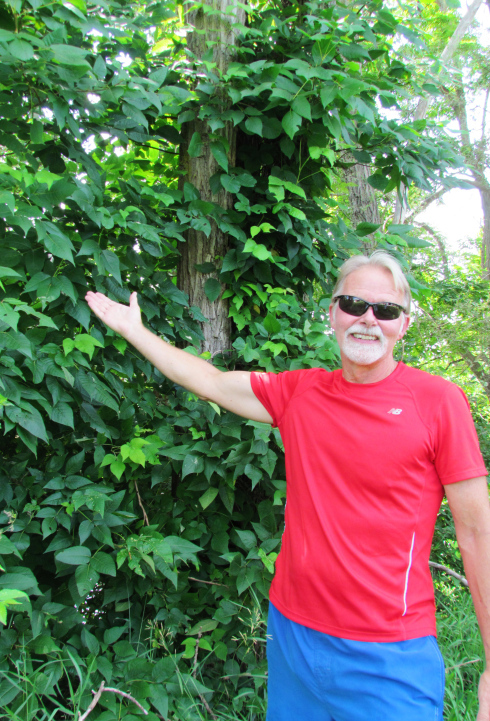 Poison ivy thrives in the moist shady woods of Oakland County. Sandy, sunny areas also make for the perfect habitat for this adaptable plant. And some poison ivy vines have side ‘branches’, that dangle over trails and grow thirty feet up a tree. These “branches” create situations where hikers have acquired poison ivy rashes on their neck, face, and arms from plodding along a trail and unknowingly making direct contact. 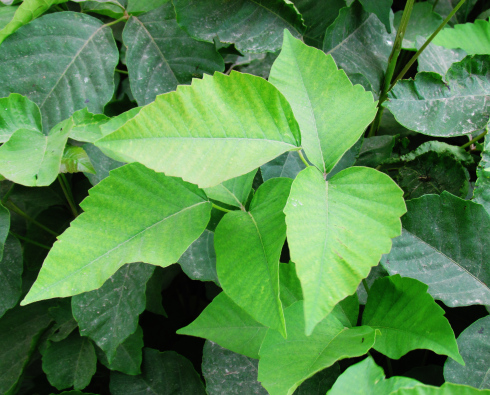 A single leaf of poison ivy is not always the best clue for identification. The best way to coexist with poison ivy on the Wilder Side of Oakland County is simple: Learn to recognize— and then avoid.